Check out our case study on Mary’s Center, a community health center that provides healthcare and social services in the DC metropolitan area since 1988. Based on a holistic social change model, the center seeks to bring services that are often unmet in traditional public and private systems. In addition to medical services, Mary’s Center also focuses on social services and educational partnerships. Many of the center’s patients had difficulty accessing in-person consultations with healthcare providers due to far distances to travel or health issues. Therefore, Mary’s Center launched a telehealth program to enhance access to their services, while also cutting costs. They needed a video communications service with exceptional audio and video quality that enabled HIPAA compliance to ensure patient confidentiality. 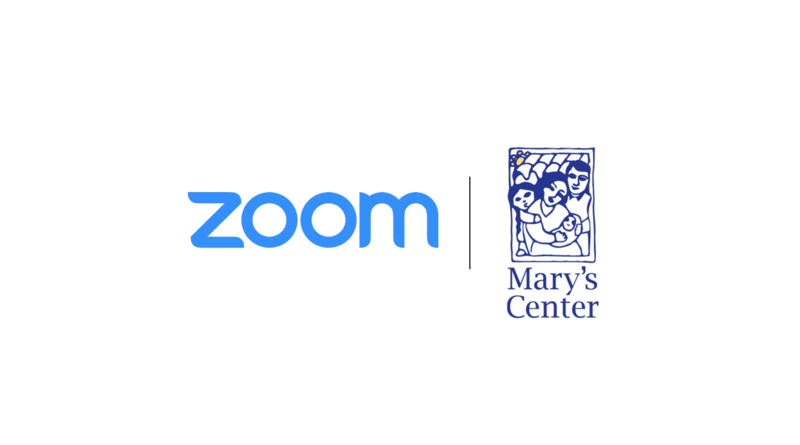 Zoom proved to be the perfect platform to support Mary’s Center’s telehealth program. Zoom’s telehealth platform was also approved by Medicaid managed care organizations, which aligned with many patients’ insurance plans. Because of this, both patients and providers were able to quickly jump on board Mary’s Center’s telehealth program. By using medical equipment linked to Zoom, home visitors can follow the providers’ instructions and take readings and tests, which the provider can directly hear and see over Zoom. For example, by using a stethoscope and otoscope linked to Zoom, the provider can directly hear the patient’s heartbeat and see HD images of their ear canals. There has been fast adoption of Zoom for counseling sessions in telebehavioral health and planned implementation with pediatrics, obstetrics, and gynecology. Zoom has proved to be a supportive tool in increasing provider access, patient satisfaction, and most importantly, improved clinical outcomes. “Zoom was a huge part of our program’s success. If we had gone with a different platform, we likely would have faced challenge after challenge. Once we started using Zoom, we didn’t need to think about it too much. The technology just worked. It already enabled HIPAA compliance and worked well within our thin profit margins as a non-profit community health center,” says Dara Koppelman, chief nursing officer for Mary’s Center.